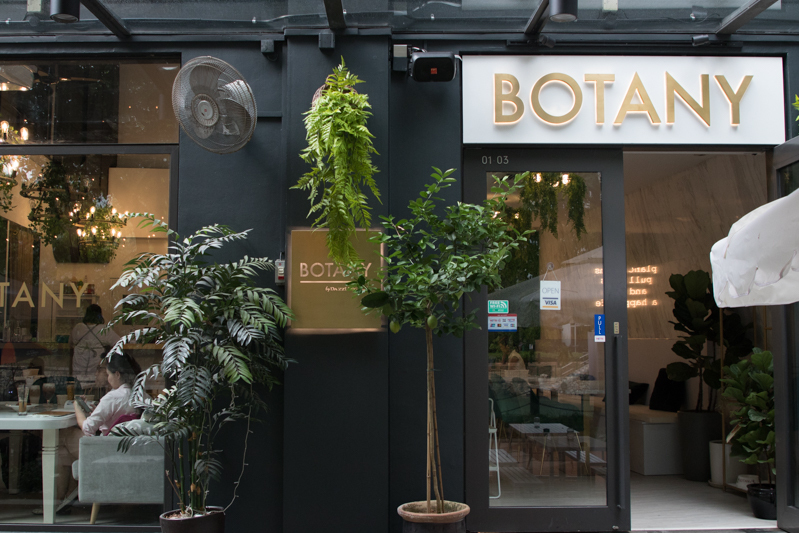 Opened by the cousin of Singaporean actress Julie Tan, Botany located at Robertson Quay is the newest addition to the Dazzling cafe chain. The cafe has a high ceiling with luxurious green and pearl marble interior with touches of gold. Away from the bustle of Orchard Road, the cafe has a relaxing view of the river. 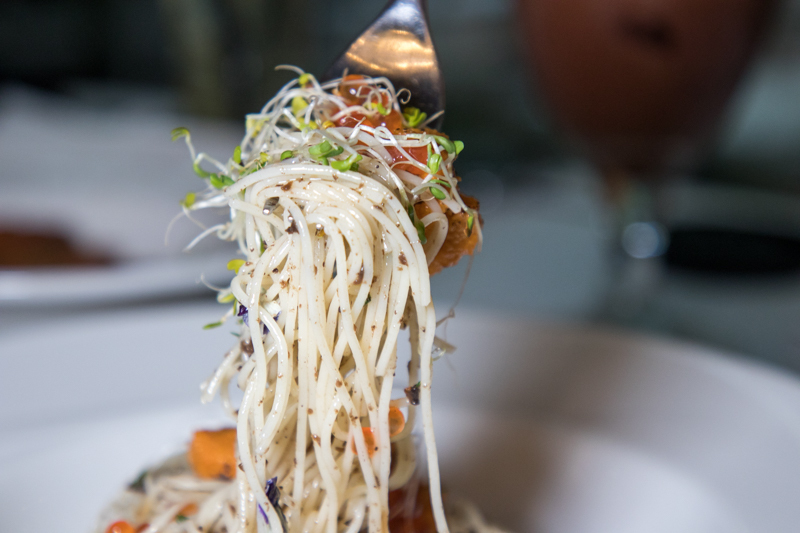 The cafe offers an inclusive menu providing vegan and gluten-free options. 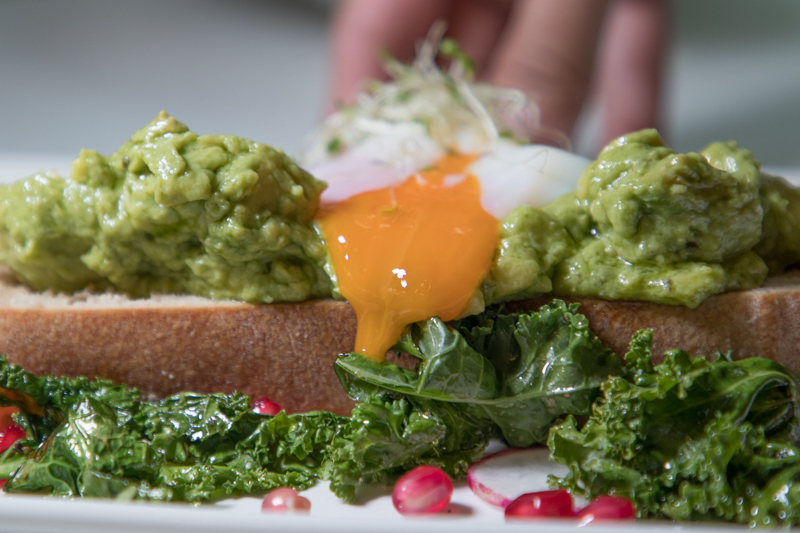 Starting off with the Avocado Toast w/Egg (S$18++), this dish features smashed avocados on top of a crispy sourdough and topped with a silky runny yolk. I liked that the avocados were still chunky and had a substantial bite. 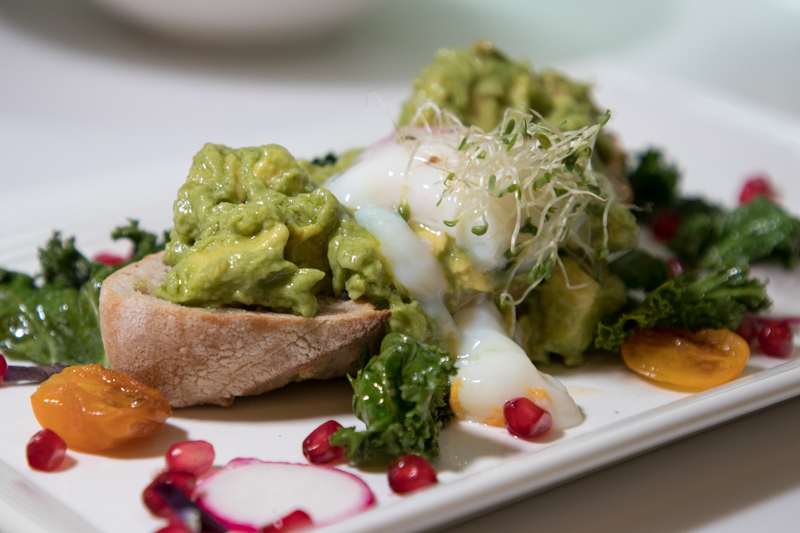 The avocados had a buttery consistency and nutty flavour that went well with the crispy toasted sourdough bread slice. 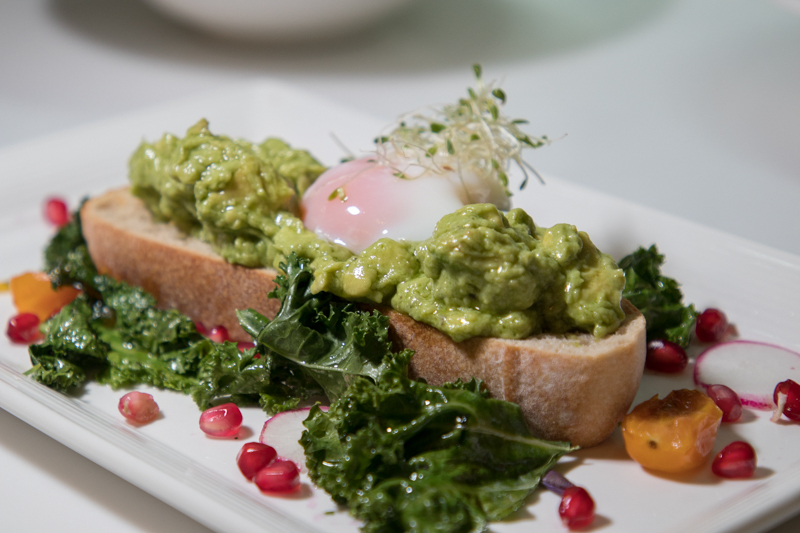 What sets this avocado toast apart was the pomegranate on the side. The little pomegranate seeds provided a burst of fruity sweetness which brightened the entire dish. Not just that, the pomegranate seeds also added a layer of crunchy texture to the whole dish. 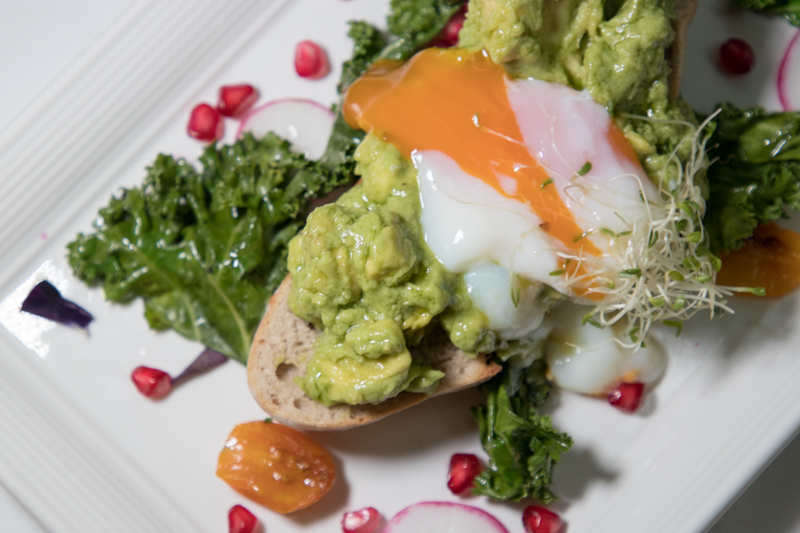 The runny yolk on top completes the dish, bringing together the multitude of flavours and textures. I really enjoyed the dish because of the different flavours that goes into making this a hearty breakfast. We also tried several unique snacks that Botany offered. 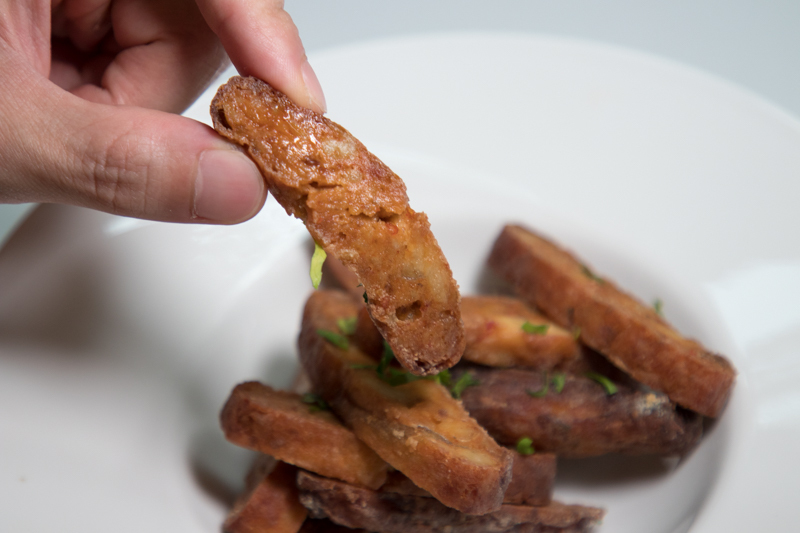 The Otah Chips (S$13++) was a creative and healthy twist on a spam fries. 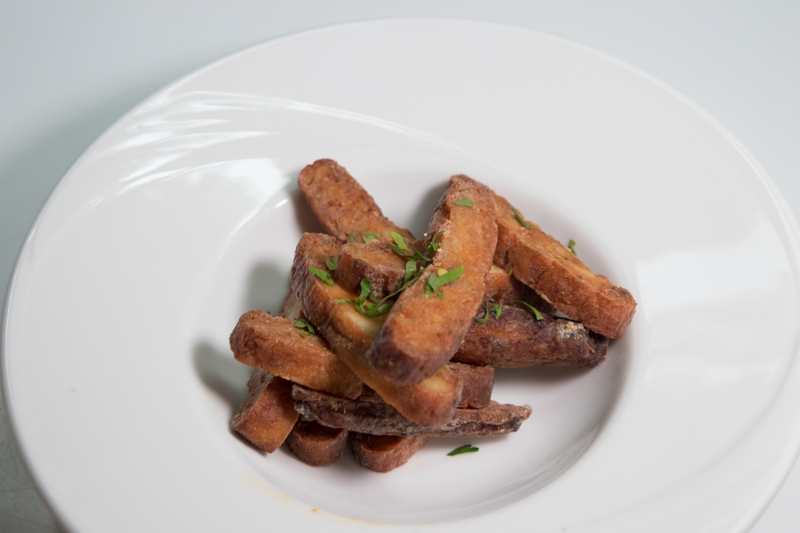 On top of being less greasy than spam, these chips were also air-fried, which made them even healthier. The otah had a slight crust around the edges with a smoky sweetness on the inside. However, this otah did not pack enough of a spicy punch and was missing the chunks of fish inside. The flavours were rather one-dimensional, and I wished there was a crispier crust on the outside instead of just around the edges. Maybe a side of mayonnaise dip could help round off the flavours. 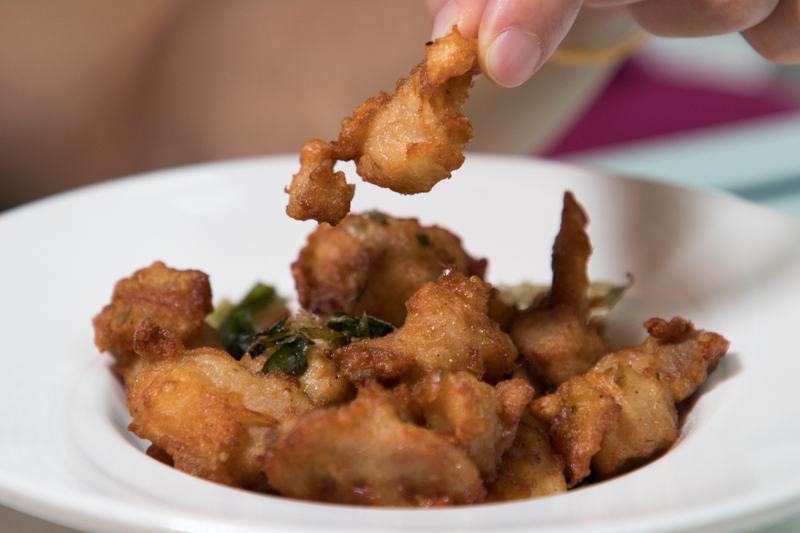 We tried the Taiwanese Chicken Bites (S$13++), made with chicken thigh meat. Marinated in-house, these bites don’t contain MSG. I was quite surprised at how much these chicken bites tasted like the actual Taiwanese snack. These nugget-shaped chicken bites had a golden-brown outer crust, while the inside was juicy and packed with flavour. The light pepper and salt seasoning didn’t overpower the dish either. 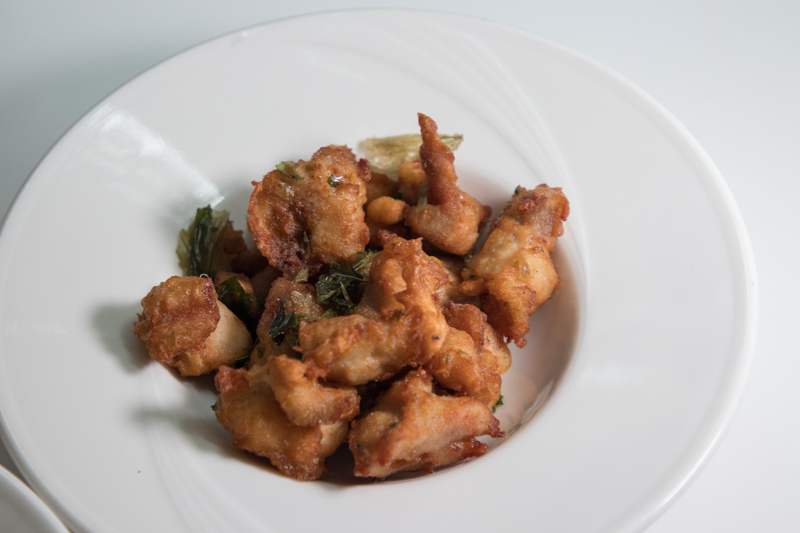 The fried curry leaves also introduced another layer of aroma to the dish. These chicken bites would make for great bar snacks, and would go very well with a beer in hand. 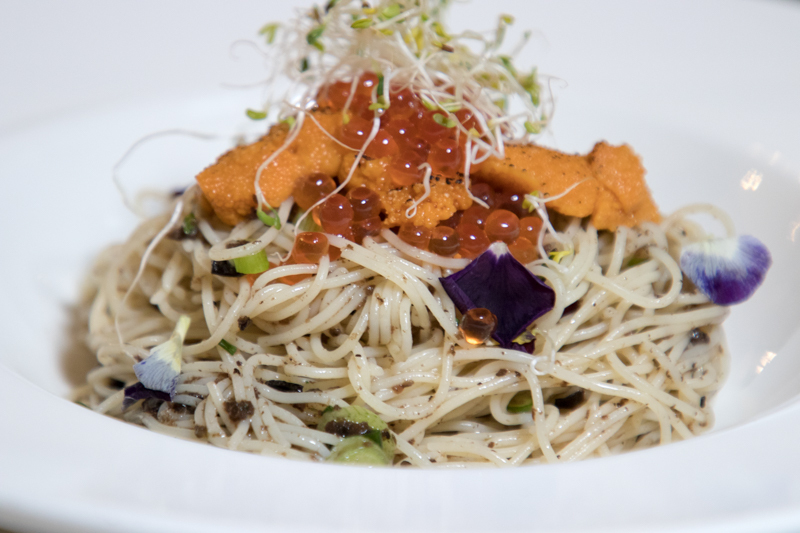 Moving onto the heavier mains, the Uni Truffle Capellini (S$28++) is topped with a generous amount of ikura (salmon roe). 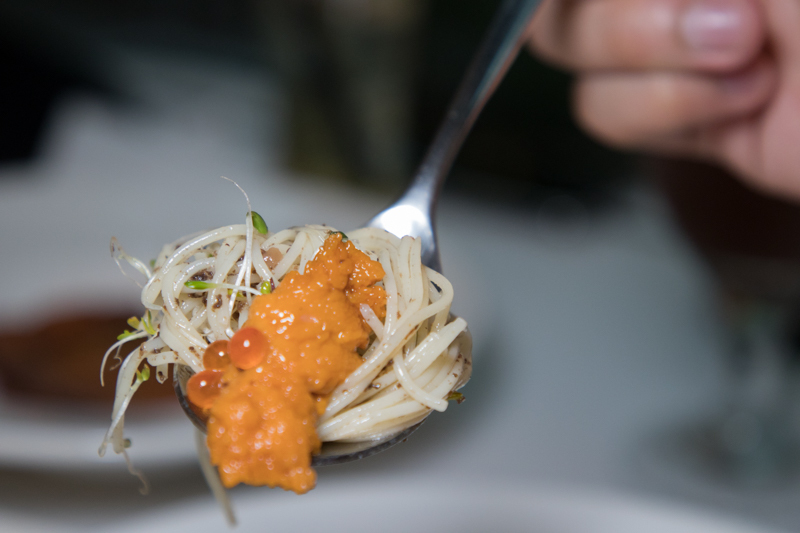 This dish was complex, with different layers of flavours, starting with the earthy truffle oil and briny ikura. The uni gave an explosion of oceanic flavours from the sea and the chives added a delicate onion flavour, together with a crisp texture. Overall, this cold dish was very refreshing despite having an abundance of briny and savoury flavours. Considering the price point, I felt that it was relatively affordable since the uni and ikura came straight from Japan. 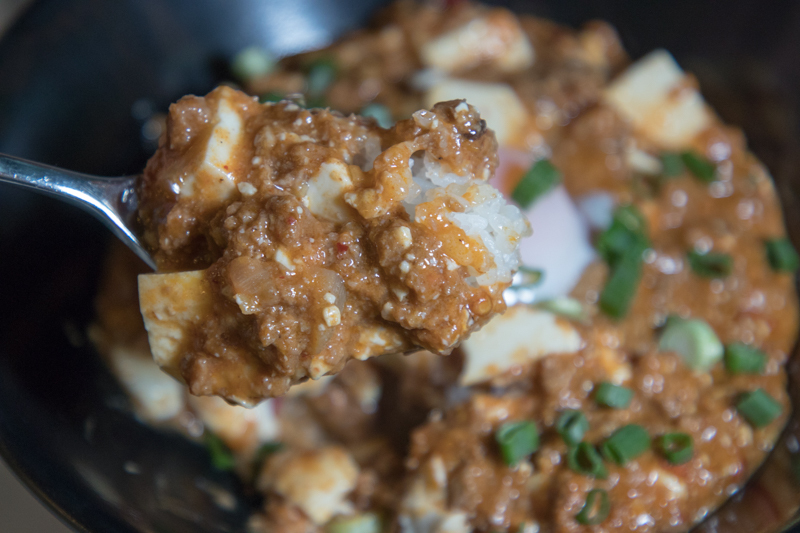 We also had the Mapo Tofu Rice Bowl (S$18++) which came with silky tofu blanketed in minced meat and fermented tofu sauce. The tofu was naturally bland but the fermented tofu sauce had strong earthy and nutty notes that lingered in my mouth. The gamey minced meat had a substantial chewiness., with bits of Sichuan peppercorns scattered within which gave an aromatic kick of spiciness to the dish. 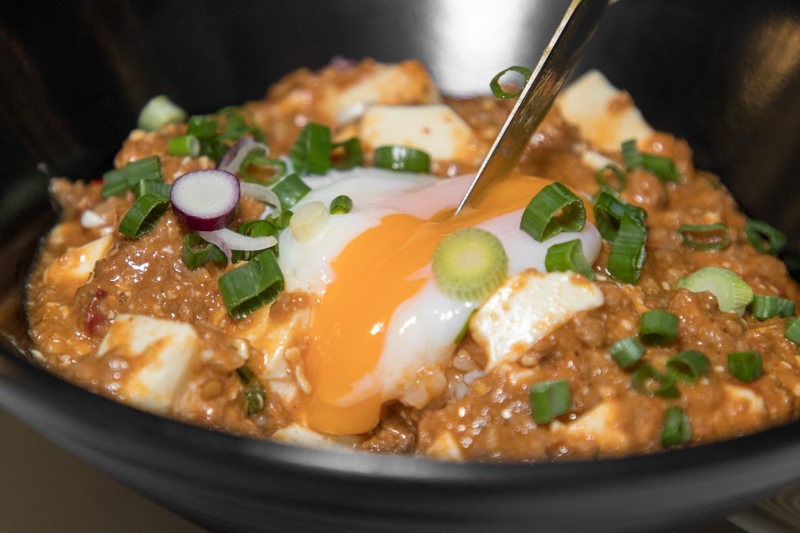 A half-boiled egg topped the rice bowl, and I recommend mixing it in together with the short-grained rice. What surprised me the most was that the meat was actually Impossible Meat and it was completely vegetarian. I was pleasantly surprised at how the “minced meat” managed to retain the same texture and gaminess as actual minced pork. Despite all that, I still felt that the rice bowl lacked a robust kick that would make me want to go back for a second time. If there were slightly more peppercorns in the dish that would give a sharper kick of spice, elevating the flavours of the dish. 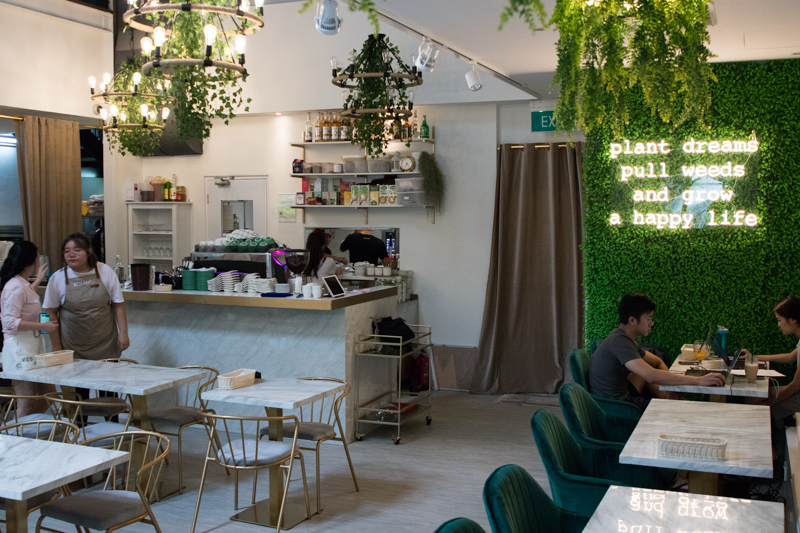 As a newly opened cafe, Botany has still got a long way to go in terms of food quality. I don’t see why I should be paying for S$18++ when I could get a better version of it at a lower price at hawkers. 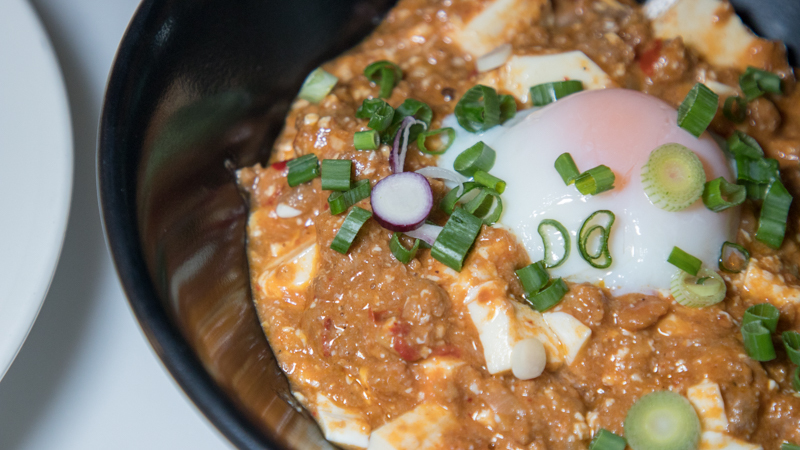 With that being said, they must be credited for their creativity with dishes like the otah fries and bringing a street snack like Taiwanese chicken to an upscale cafe concept. Unfortunately, Botany isn’t located close by any MRT and getting there could be quite a hassle. I do not foresee myself coming here regularly unless I happen to be in the area.